Electron Microscopy Sciences is pleased to introduce the EMS 300 series of large specimen sputter coaters for SEM preparation and thin film applications. The series features a multiple sputtering head design that ensures even coating deposition over a single large specimen or multiple small specimens. 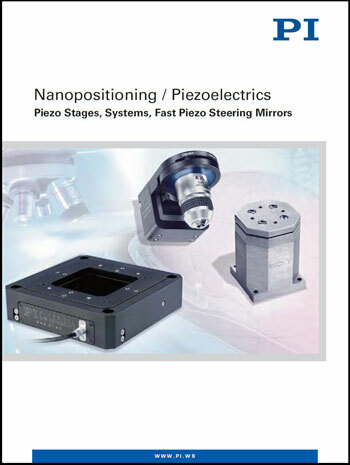 PI (Physik Instrumente) L.P. -- a leading manufacturer of nanopositioning stages and precision motion-control equipment for bio-medical, semiconductor, imaging and nanotechnology applications -- has released a new catalog on nanopositioning systems. The Ohio Third Frontier Commission awarded Nanotek Instruments Inc. $1 million to accelerate commercialization of its nano graphene platelets-based electrode materials for next generation supercapacitors. Market leaders in temperature controlled microscopy, Linkam Scientific Instruments, have been chosen by the Physics Department of the University of Liverpool to study the effects of controlling stresses applied during the growth of collagen secreted from human fibroblast cells. JPK Instruments, a world-leading manufacturer of nanoanalytic instrumentation for research in life sciences and soft matter, reports on the work from the Pharmaceutical Sciences Department of the Medical School at the University of Nebraska. 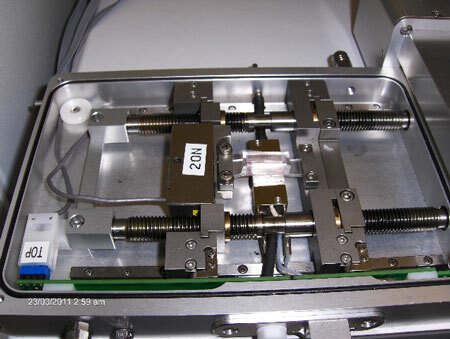 The Department has selected the JPK ForceRobot 300 system to extend their studies applying atomic force microscopy, AFM, in the measurement of single molecule force spectroscopy. NanoInk's Nano BioDiscovery Division announced today the launch of a new instrument system for nanoscale protein analysis and discovery. Coupling powerful array deposition techniques with the latest generation of fluorescent detection technologies, the NanoArray Assay System is a user friendly, affordable desktop unit that can quickly and cost-effectively integrate into any proteomic lab. Samsung Electronics, Co., Ltd., a global leader in advanced semiconductor solutions, today announced that its foundry business, Samsung Foundry, has qualified 28nm low-power (LP) process with High-k Metal Gate (HKMG) technology and is ready for risk production. Leading-edge foundry selects advanced process node simulation tool to push performance of nanometer designs. In a move to accelerate applications of a novel cancer detection and treatment technology, Manhattan Scientifics today announced that it has acquired all of Senior Scientific, LLC and its affiliate Scientific Nanomedicine Inc.
Key technologies ensure 28-nanometer production readiness. Cadence Design Systems, Inc., a leader in global electronic design innovation, today outlined the technologies and steps required to move the industry to advanced node design, with a particular focus on 20-nanometer and 28-nanometer design, at the Design Automation Conference (DAC), being held June 5-9. The sign-off-ready design flow is precisely tuned to address the unique challenges of designing and manufacturing integrated circuits at leading-edge nodes. The technology addresses the test challenges involved as electronics companies increasingly turn to 3D-ICs as a way to increase circuit density and achieve better performance at lower power dissipation for mobile and other applications where space is at a premium. At ASMS 2011, Bruker is introducing the breakthrough, proprietary CaptiveSpray electrospray ion source for nano-HPLC applications in proteomics. SuVolta's PowerShrink Low-Power platform enables significant voltage scaling and reduces power consumption by more than 50% while maintaining IC performance. SuVolta, Inc. and Fujitsu Semiconductor Limited today announced that Fujitsu Semiconductor has licensed SuVolta's innovative PowerShrink low-power CMOS technology. Working together, the companies have verified the technology and begun joint development activities for the commercialization of the technology. Fujitsu Semiconductor will make the technology available at 65nm process technology.